In August 2014, the Mexican government passed secondary legislature to their recent energy reforms that further opens the door to foreign companies wanting to work in the country's energy sector. This includes the US-Mexican Transboundary Hydrocarbons Agreement, which allows US and Mexican companies to jointly exploit resources in marine areas shared by the two countries (6). the most attention is focused on the Burgos Basin, which spans the states of Coahuila, Tamaulipas, and Nuevo León. This basin yields two-thirds of all Mexico’s natural gas production currently. These reforms sparked preventative protests in July of 2014, in which farmers and activists marched to the capital and blocked major highways (3, 4). Up to $800 million in investment is expected just within the next year for drilling in the Burgos Basin and surrounding areas, while $100-250 billion total, mostly foreign, is expected as investment to develop Mexico’s shale gas industry (4). As of August, 2014, 20 fracking wells had been drilled in Burgos Basin with more exploratory wells in the works, while as of July Pemex had drilled 19 experimental shale gas wells in Nuevo León (including land outside of the Burgos Basin) (3.4). Halliburton and Schlumberger started drilling in nine municipalities of Nuevo León as of July of 2014 (4). This despite the fact that the environmental impact assessment for fracking in Mexico has warned that many of the shale basins in Mexico are too deep for shale gas and oil development (6). In Nuevo León, resistance to fracking and the new legislation is widespread. One concern is access to water; the state experiences frequent water shortages, and water shortages have created conflict in the past and there are fears that fracking will put further strain on already scarce water resources (3). Earthquakes are also an issue; one article reports that within six months of Halliburton and Schlumberger beginning to drill fracking wells in Nuevo León, earthquakes destroyed at least 45 homes in a town called Las Enramadas. Many people and news outlets have blamed the earthquakes on shale gas extraction, which is also blamed for contaminating aquifers (1). At least one local academic study, published by the Autonomous University of Nuevo León, links the increased seismic activity to natural gas extraction and the over-exploitation of aquifers, a common consequence of fracking (4). 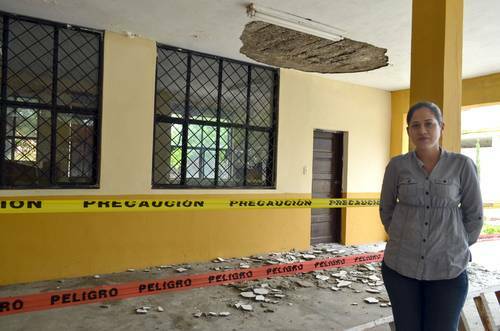 Another report details the increase in seismic movements since Pemex began to drill hundreds of wells, claiming that earthquakes have damaged the houses of more than 200 inhabitants, and dozens of homes and offices are collapsing near the Burgos Basin. The Basin spans 10 municipalities within Nuevo León and holds 402 out of the 652 wells drilled thus far by Pemex (2). A group of organizations led by the Comité Ecológico Pro Bienestar have declared themselves against fracking conducted by Pemex in Nuevo León and in general. On March 31st, 2014, they presented a petition to the Deputy Congress, demanding an end to this method of well-drilling (2). Later, the Mexican Alliance against Fracking submitted a petition with more than 10,000 signatures demanding a fracking ban, though on July 18th, 2014, the Mexican Senate voted down a measure that would have done just this (5). Other opponents to fracking in the state include the left-wing political party PRD (Partido de la Revolución Democrática), and activists who have criticized the state for its ‘inexplicable silence’ surrounding fracking and demanded that responsibilities be determined for the costs of damages. (2) In 2015, Pemex plans to begin their commercial shale gas production. They hope to have 750 wells drilled by 2025 with an investment of $1 billion; 75 shale exploration wells will be drilled in the Burgos Basin in just 2015 in partnernship with Halliburton and Schlumberger. Development of Alternatives The Mexican Alliance against Fracking and the Comité Ecológico Pro Bienestar have both delivered petitions demanding a fracking ban. Other activists call for a determination of who will be responsible for costs incurred by earthquake damages. Why? Explain briefly. Though fracking activities are underway and the petitions have not been responded to, resistance is ongoing.